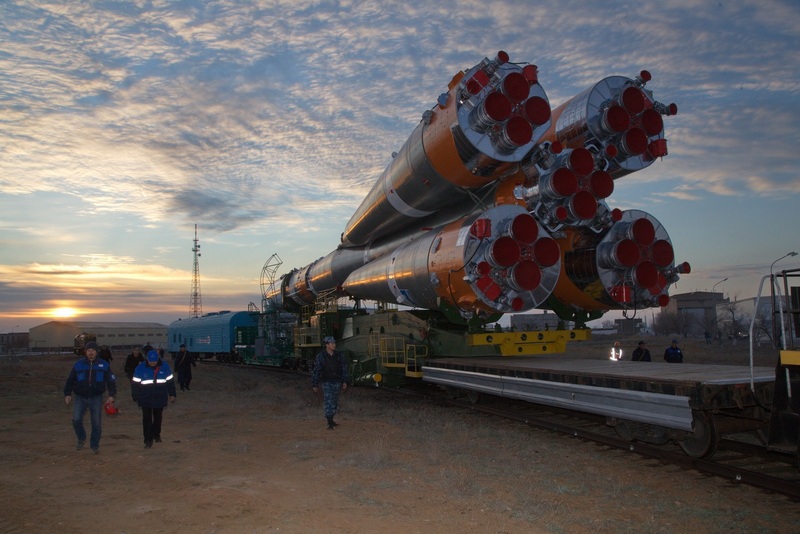 A Soyuz rocket rolled to its launch pad at the Baikonur Cosmodrome in the morning hours on Tuesday, setting the stage for the launch of the Progress MS-02 cargo spacecraft on a resupply mission to the International Space Station. 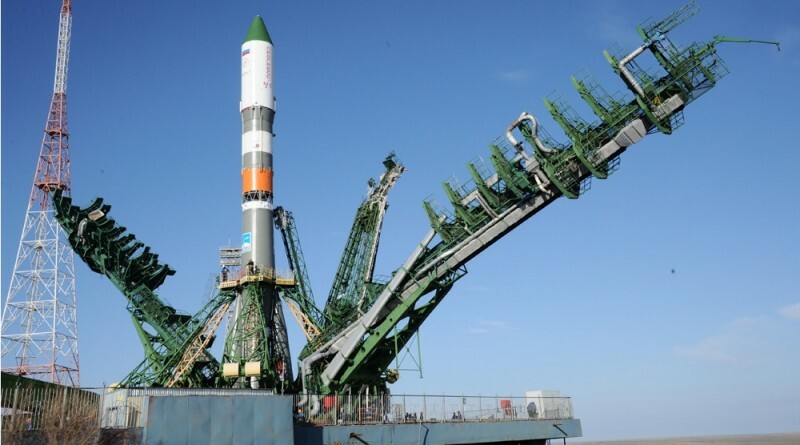 Liftoff from Site 31/6 is planned on Thursday at 16:23 UTC to mark the start of a nine-minute climb into orbit to set the craft up for a two-day link-up with ISS, taking the scenic route to enable teams to put the MS systems upgrade through flight testing. The first in the improved line of Progress MS spacecraft launched in late December, sporting a number of systems modifications mainly focused on flight control and communications systems. December’s Progress MS flight was by the book and delivered data for engineers to assess the performance of the various new systems before they are introduced on the crewed Soyuz spacecraft. 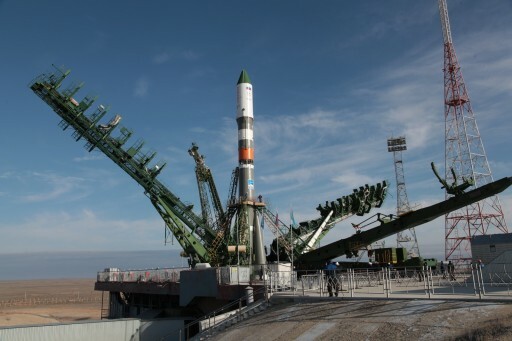 Soyuz TMA-20M, launching earlier this month and bringing three crew members to ISS, was the last of the TMA-M spacecraft series with the first Soyuz MS next in line, aiming for a liftoff in June. 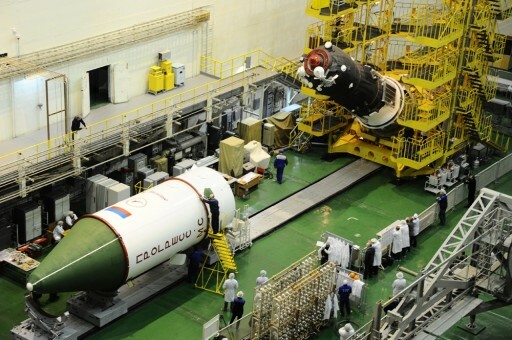 To reduce risk by flying the MS systems upgrades first on the uncrewed Progress, Roscosmos desired at least two Progress MS flights before transitioning Soyuz over to the new system. Due to changes in the flight schedule after last year’s Progress M-27M mission failure, Progress flights drifted behind schedule and required a switch between Soyuz MS and TMA-20M since the original plan was to have one more TMA flight after the first MS launch to provide sufficient time to deal with any potential issues on the maiden MS flight. 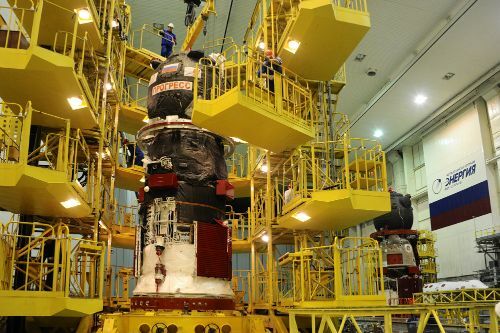 The MS upgrade introduces a number of changes on the Progress and Soyuz spacecraft, first and foremost a Unified Command and Telemetry System ending Russia’s reliance on the Kvant-V radio system built in the Ukraine. The MS spacecraft are capable of communicating with the Luch satellites in Geostationary Orbit serving as data relay points to permit communications for the majority of the craft’s orbit around Earth – to date, communications with Progress and Soyuz were only possible through Russian ground stations on orbits taking the vehicle over the tracking station network. Progress and Soyuz MS also implement GPS and Glonass receivers to complete on-board orbit determination and a new Proximity Communications System is introduced to allow ISS and Progress to exchange position data for relative navigation. The old KURS-A radio navigation system is making way for the KURS-NA system that reduces the number of antennas, cuts weight and increases accuracy when the spacecraft maneuver around the Space Station to find their docking port. Furthermore, Progress MS hosts additional debris and meteoroid shields, a secondary drive mechanism in the docking system provides added redundancy, and multiple external compartments can be used to release CubeSats from the Progress. Preparations for the second Progress MS flight got underway at the Baikonur Cosmodrome early in 2016 when the spacecraft finished final testing operations before being loaded with cargo for the six ISS crew members. 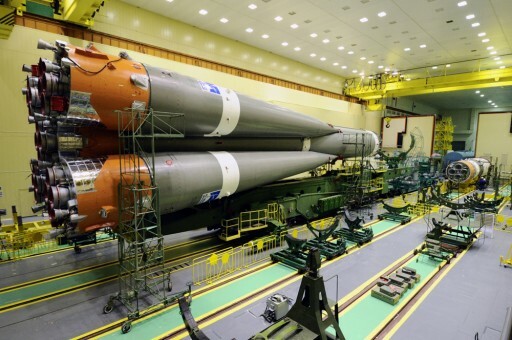 The vehicle was fueled for flight two weeks ago, right around the time the launch campaign for Soyuz TMA-20M wrapped up with a successful liftoff. Back at the Spacecraft Processing Facility, the fully fueled Progress was mated to its payload adapter followed by a detailed inspection and the removal of the last protective covers to allow Progress to be encapsulated in its protective launch shroud. Progress was moved over to the Launcher Integration Facility on Sunday to meet its Soyuz 2-1A rocket. 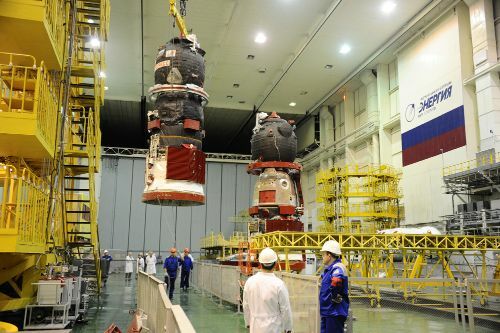 The 27.8-meter long Core Stage of the Soyuz launch vehicle already had its four liquid-fueled boosters attached in the days and weeks ahead, only missing the Block I upper stage and Progress spacecraft. Progress was installed on the modified Block I stage before the stack was mated with the Core Stage. Electrical connections were put in place and a number of tests confirmed all systems were functional. 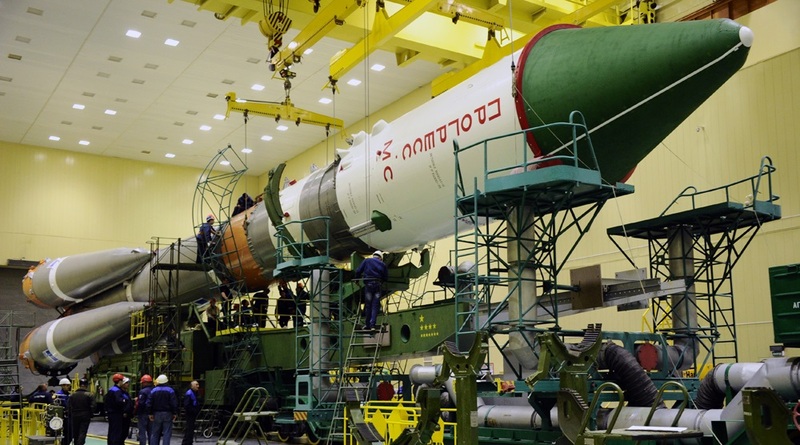 A meeting of the Russian State Commission late on Monday provided the all-clear for the early morning rollout on Tuesday. 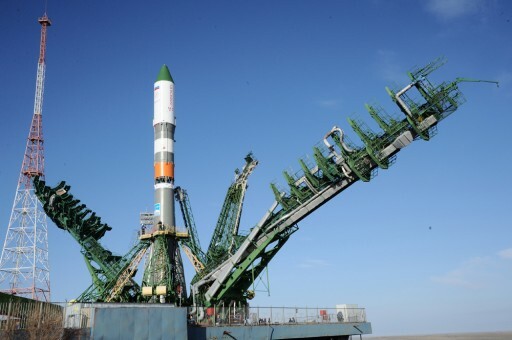 Per the old tradition dating back to Yuri Gagarin’s flight in 1961, Soyuz emerged from its processing facility early in the morning to begin its trek to the launch pad at Site 31/6 – primarily used for uncrewed launches of the Soyuz 2 rocket. 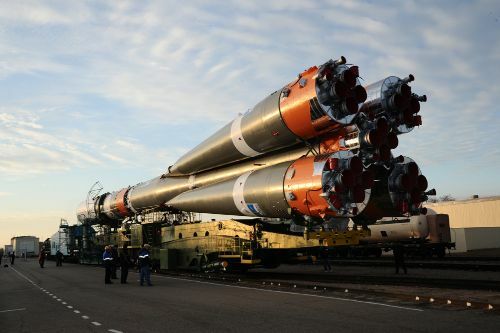 The 46-meter tall Soyuz was lifted into its launch position after arriving at the pad and teams placed the two halves of the Service Structure around the vehicle to provide protection from the elements and access platforms to engineers. Soyuz will complete a two-day processing flow at the pad, highlighted by the connection of the various fluid and electrical umbilicals and a detailed testing campaign to verify all systems of the launcher are functioning to specification. Soyuz will head into an eight-hour countdown to complete propellant loading ahead of a 16:23 UTC liftoff on Thursday. Sticking to a standard ascent profile, Soyuz is planned to send the Progress spacecraft on its way to ISS eight minutes and 48 seconds after liftoff, aiming for a 193 by 240-Kilometer orbit. From there, Progress will systematically raise its orbit, starting with a pair of maneuvers on orbit three and another burn on Friday to position the spacecraft for the initiation of the Automated Rendezvous Sequence on Saturday. Progress MS-02 will make an automated docking to the aft port of the Zvezda Service Module at 18:00 UTC on Saturday. Its docking port will be vacated on Wednesday when the Progress M-29M spacecraft undocks after a stay of over six months to head for a one-week free flight in an independent orbit. Progress MS-02 is loaded with 2,500 Kilograms of supplies for ISS including refueling propellant, water, pressurized gases to top up the Station’s atmosphere, food and supplies for the crew, systems hardware and science experiments to be run on the Russian Segment of the Space Station.